Panorama de Leeuw XLVIII: Reinbert de Leeuw with the Sydney Symphony Orchestra #2. 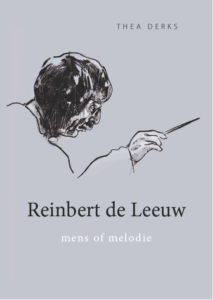 Panorama de Leeuw is the series in which Thea Derks follows the musical career of Reinbert de Leeuw using her biography Reinbert de Leeuw, mens of melodie as her guide. In our last broadcast we looked at the relationship between Reinbert de Leeuw and the Sydney Symphony Orchestra. He first conducted this orchestra in 1998 after he was invited by Edo de Waart, who was the principal conductor at the time. Next to typical ‘Reinbert music’ from composers such as Ligeti en Kurtág a piece by Australian Gerard Brophy was also performed. The collaboration was well received and the following year Reinbert was asked to become the curator of a festival with modern music. Ultimately Reinbert programmed four editions between 2001 and 2005, after which the festival faded out. As requested by the Sydney Symphony Orchestra, Reinbert de Leeuw also performed works from an Australian composer during every edition. In our last broadcast you heard a recording of the world premiere of ‘Alchemia I’ by Kim Bowman, today you will hear a recording of ‘Beggars & Angels’ by Brett Dean (see photograph taken by photographer Bettina Stoess). This piece was performed in 2002, the same year in which Reinbert also added his beloved L’Ascension by Messiaen to the program. Tip: if you purchase the biography using this link you will support the Concertzender free of charge. The Netherlands Radio Symphony Orchestra conducted by Reinbert de Leeuw. 2. Brett Dean. Beggars & Angels. Melbourne Symphony Orchestra conducted by Markus Stenz. Compiler, host and sound engineer: Thea Derks.